What’s the key to effective leadership in a family business? Identity. 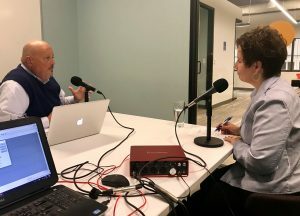 Emigh talked recently with Sheri Welsh for The Welsh Wire podcast, sponsored by the Family Business Alliance. “I’ve developed a model that suggests that we should start at the identity level, then it would be good to move to understanding what are core values that you hold, what our core beliefs [are] that affect how you understand who you are and how you do anything in the world. Then we’re ready to talk about behaviors and skills,” he says. Listen to Sheri’s entire interview with Tom Emigh.